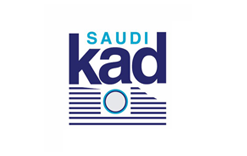 Saudi KAD has played a key role in the development of industrial and civil infrastructure in KSA. Since starting operations back in 2011, the company has quickly established a deserved reputation for reliable delivery of a range of EPC services, including: engineering consultancy, construction management, site & industrial maintenance, renewable energy, utilities and logistics. Saudi KAD has been working to support the kingdom’s 2030 strategy by implementing and training its Saudi workforce in international best practice and innovative technologies. It is on the back of these efforts and the project work it undertakes for some of the kingdom’s most notable organisations, that the firm has enjoyed a period of rapid growth and prosperity. With its dynamic vision and considered strategy, Saudi KAD is confident of maintaining this positive trajectory and is excited about its long term prospects in the kingdom and beyond.